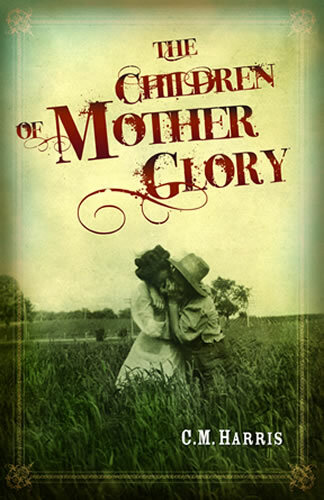 In the turn-of-the-century Midwest, young Glory Potter’s lot in life is to serve her father’s ministry. When Glory grows into a dominant matriarchal figure—transcending her father in the creation of the Potterite faith and an industry that supports the town of Gulliver—she finds herself fighting “demons from hell” that irresistibly draw her to the woman she craves with all her being. Sebastian, reviled in Gulliver as a conscientious objector for obeying the pacifist dictates of the sect, ends up sequestered in a camp where he too is wracked by the fierce war between his faith and his desire for a fellow CO.
Danielle, fifteen years old, already wrenching herself from her implacably judgmental family, defying her faith to preserve her lesbian self, begins a journey unpredictable in its twists and turns, and its costs. Jacob, working for the industry that Glory created, uncovers a number of dark secrets about the Potterite sect. The arrival of sales rep Diana, a transgendered woman, further upends his every concept of himself. Like signposts across a century, these four intersecting lives reveal that mysterious inheritance known as human desire and its power to outpace ideology. This powerful, beautifully crafted and inclusive LGBT novel is a story for our times. A saga over generations, about the many kinds of love that make us who we are. May, 2010: I highly recommend this book. I found the entire work interesting, different, and very well written. I do want to point out that one of the things that made it refreshing for me was that it was not a romance at all. There is physical intimacy in each of the stories but I wouldn't classify this as a romance. I see it as a study of some of the issues LGBT people have had to deal with over the past 100 years or so. The religious aspect brought us a community of people to read about but it wasn't the only thing that brought us all together.